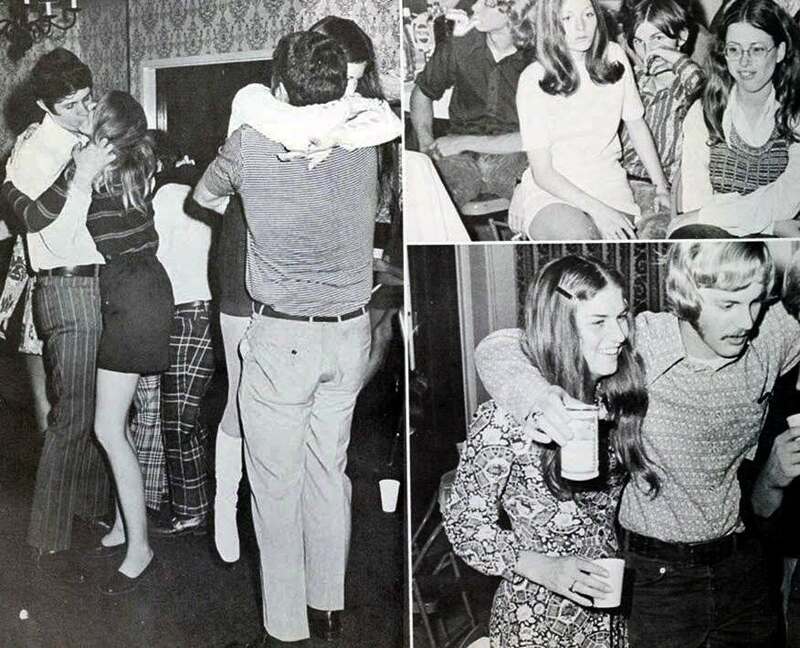 With New Year’s upon us, I thought it was time to jump in the wayback machine and have a look at parties from yesteryear – specifically, the 1960s-70s. So, here’s a festive dose of vintage merriment – starting with the office…. The office Christmas Party has long been a source of embarrassment, hedonism, bonding and, according to a Harvard study, thousands of pregnancies. 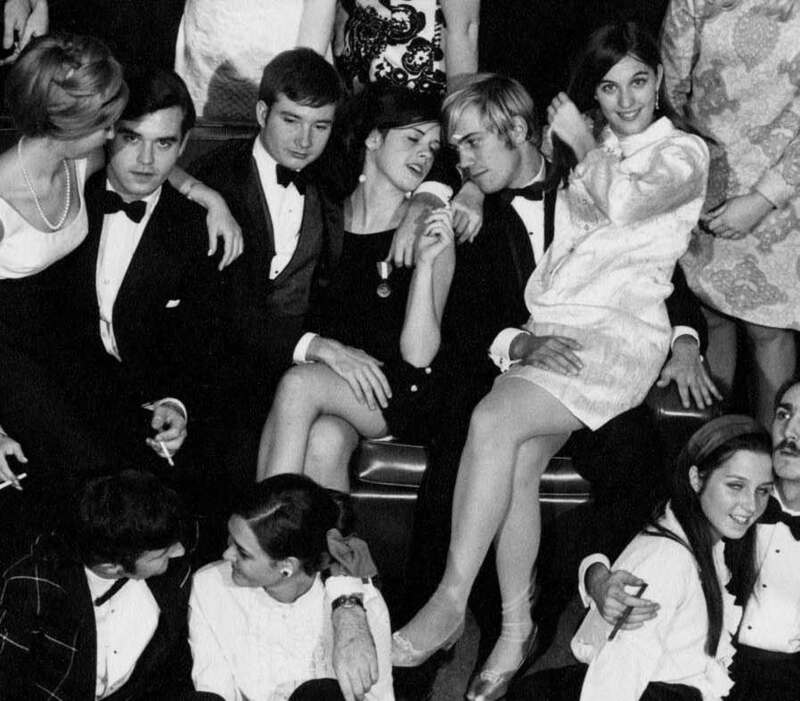 Company Christmas parties go waaaay back – there’s even records from the days of King Richard II of office parties to celebrate the holidays…. given the amount of ale on the menus, holiday party drunkenness is a centuries old tradition! MKULTRA, was the code name for a covert CIA mind-control and chemical interrogation research program, run by the Office of Scientific Intelligence. 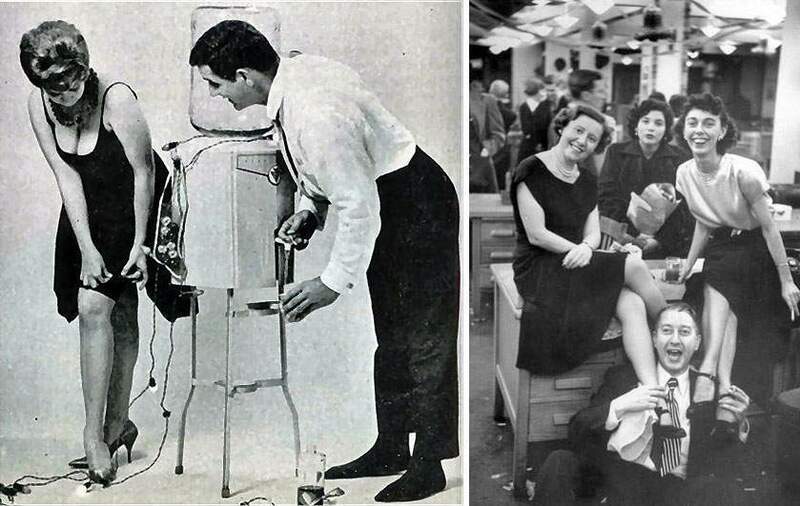 This official U.S. government program began in the early 1950s, continuing at least through the late 1960s, and it used United States citizens as its test subjects. In one instance the CIA tested it on unwitting individuals within its own agency, the Technical Services Staff (TSS). 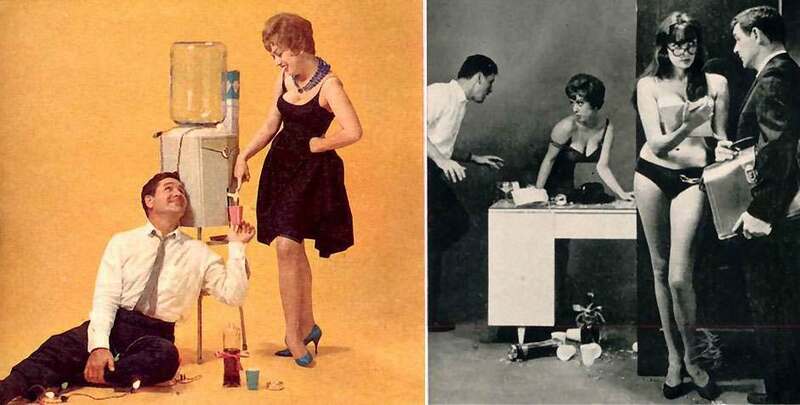 The punch at the annual Christmas party was spiked with LSD! One partygoer, Frank Olsen, experienced horrific hallucinations and threw himself from his tenth story room. 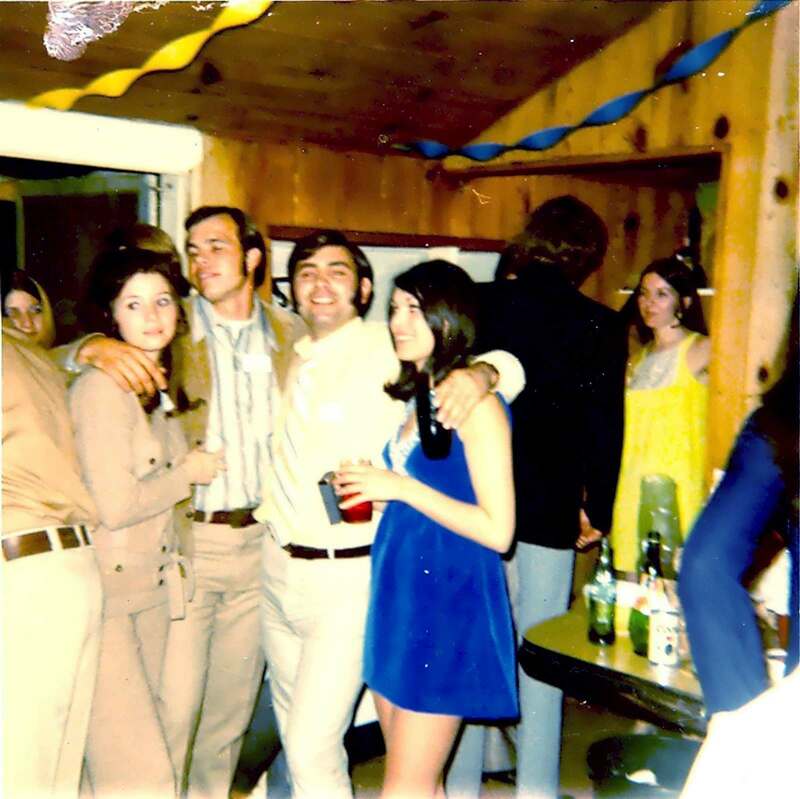 Of course, the best way to get a look at the vintage party is to pore over some old photographs So, let’s have a look at some “found photographs” – old polaroids and such with no context or backstory….just revelers frozen in time. 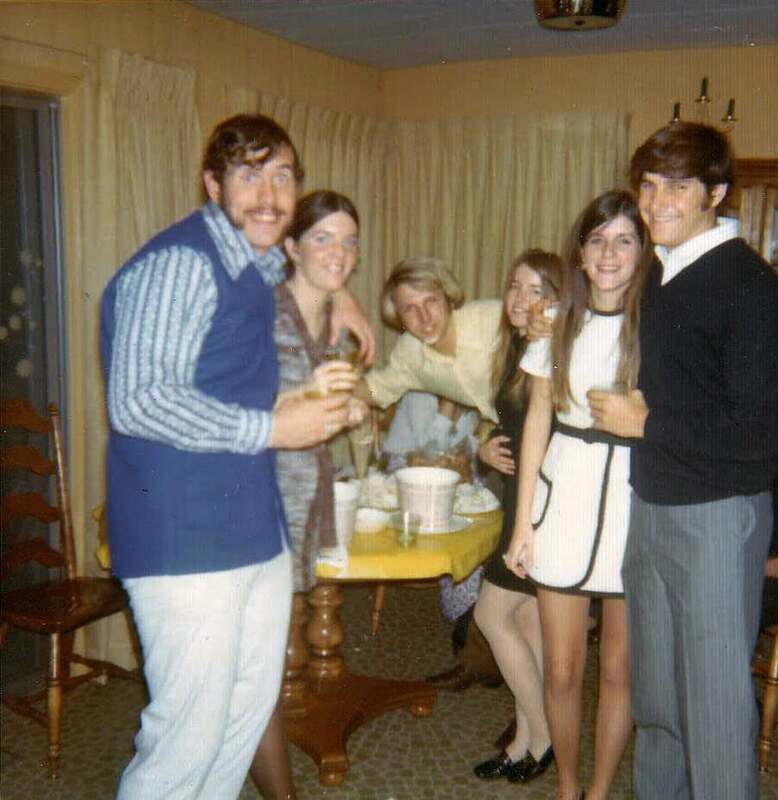 The guy in the center looks absolutely mortified, and the chick to his right is wearing tights and Bermudas! I’d say it was some church youth group but there’s a Haight-Ashbury poster in the background, so that makes it somewhat doubtful. Why can’t I get invited to parties where chicks walk around dressed like this? Instead, I get office parties which consist of awkward conversations followed by still more awkward conversations. Yes, he’s way too old to be at this party… but he’s way too drunk to care. 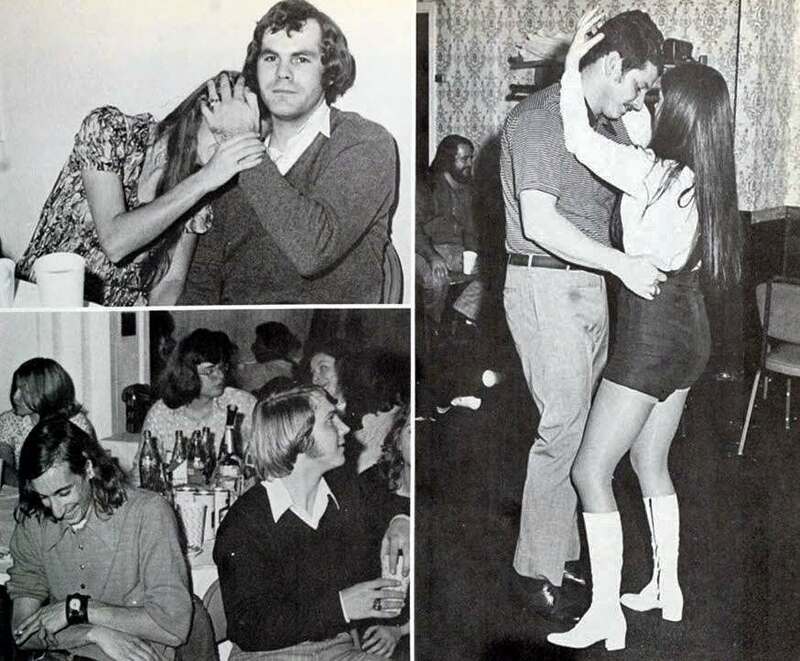 Tens of millions of Baby Boomers reaching their sexual prime all at once… parties in the late Sixties and Seventies were something to behold. 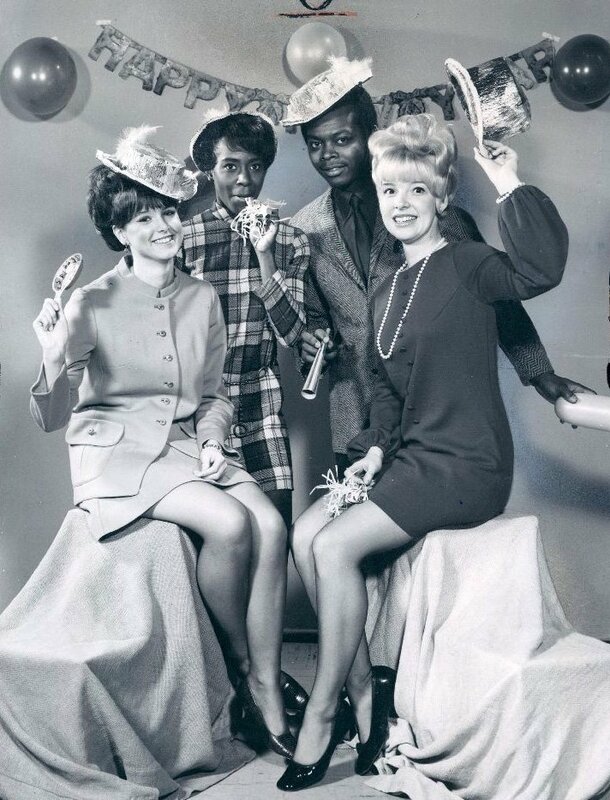 These are the best kind of found photos – where I haven’t a clue as to what’s going on… yet, my interest is definitely piqued. Miss Miniskirt was doing fine until she decided to dance with Mr. Ascot. Looks as though she got smacked in the face by his furious dance moves. 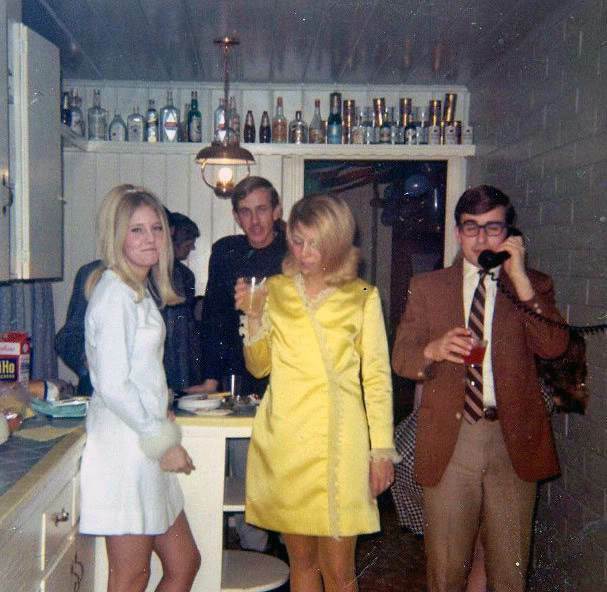 This is from New Year’s Eve 1970; I don’t know anything else about it, other than ‘life was good’. 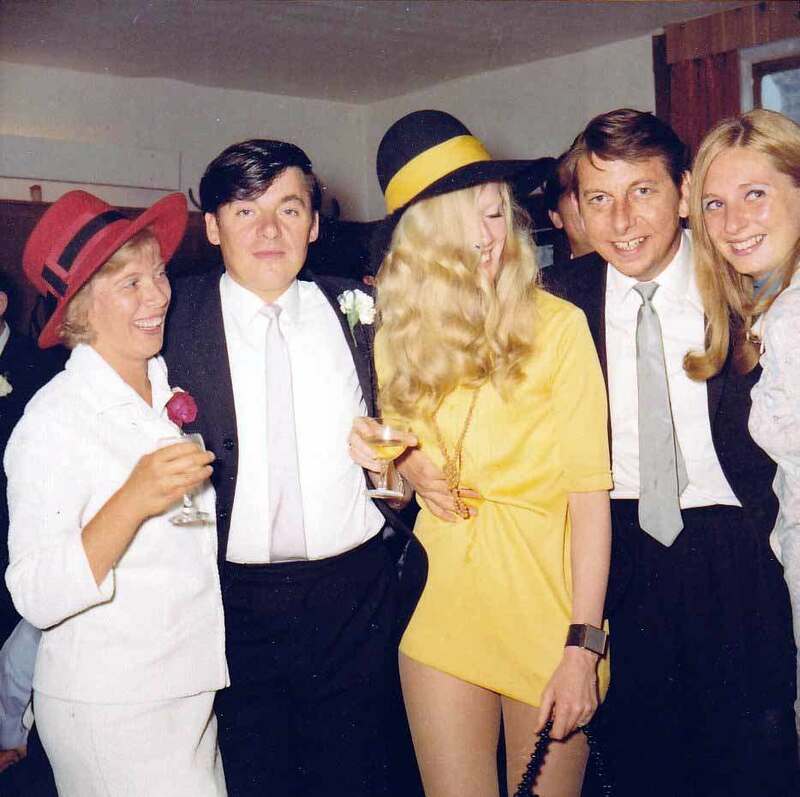 Here’s another found photo I know nothing about… other than the fact that whichever man ends up with Miss Yellow Dress is going to have fine evening. My wager is on the fellow with tie tucked in – he has an air of confident victory. 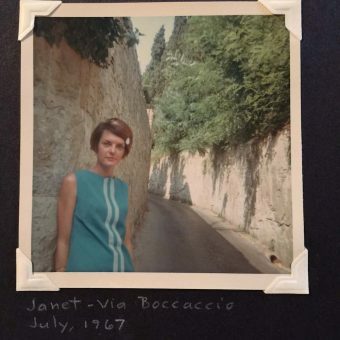 This photograph comes to us from 1963. 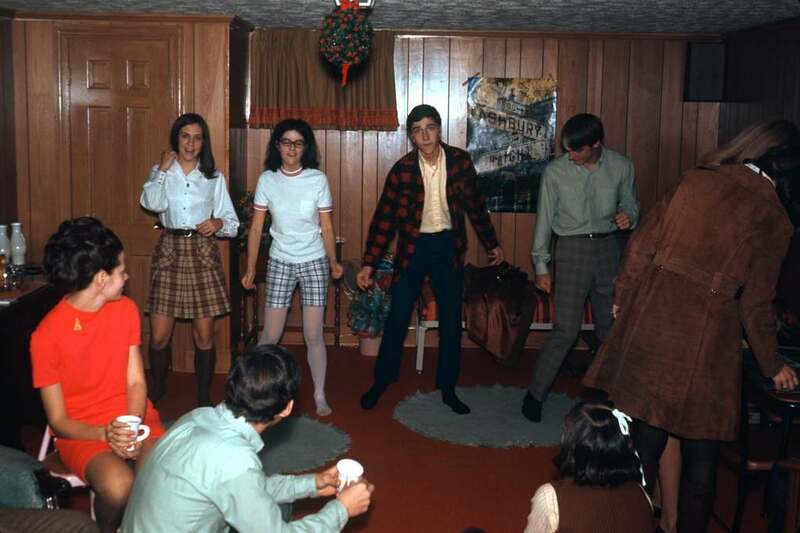 Looks like loads of fun, but seems woefully antiquated and out-of-place compared to today’s parties. 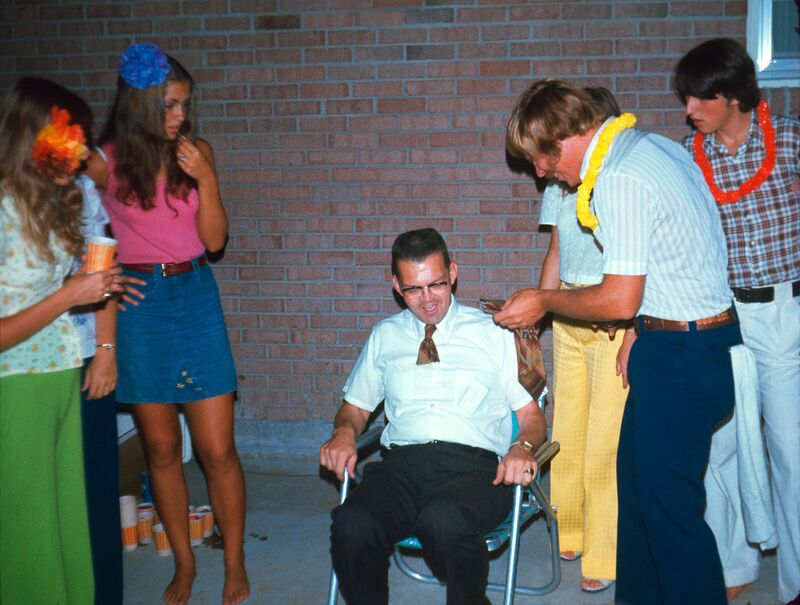 The ‘square’ with the crewcut gets his tie cut in two – it’s just not a luau without the public humiliation. 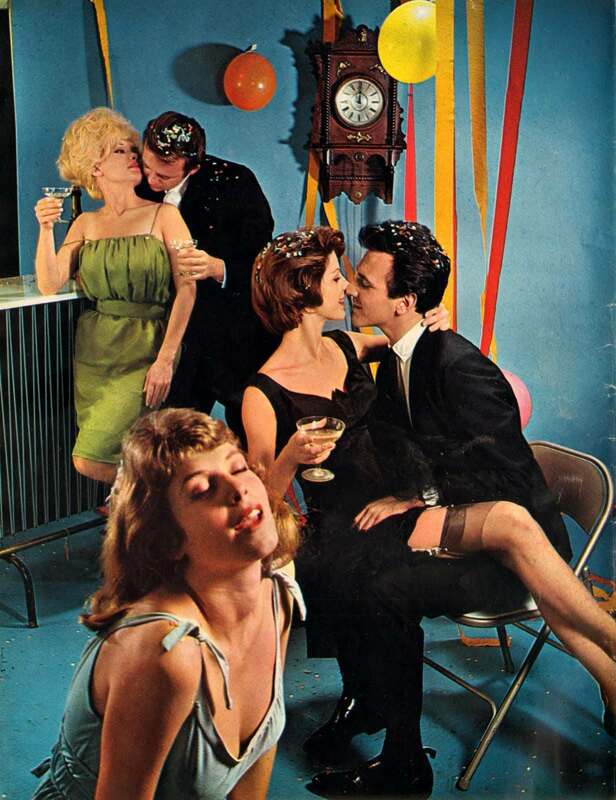 Again, I don’t know the context to this New Year’s photograph, I just know I wish I’d been there. So, I guess we’ve explored the retro-party landscape enough for now. 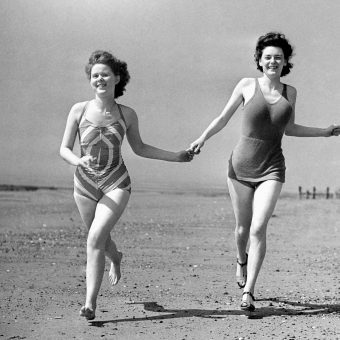 So, enjoy your New Year’s party and maybe take some photographs for retro-enthusiasts to enjoy a few decades from now.